Our newsletter is exceptionally early this month, as we're just too eager to share our latest news and events with you!! If you are a contemporary music fan, you'll be thrilled to know that SOA Professor Georg Friedrich Haas' work in vain will be performed by the London Sinfonietta at the Royal Festival Hall on April 27th. This won't be a CUCL event but we thought you'd like to know. In the meantime, Happy Spring to everyone! Spyros holds a M.B.A from Columbia Business School. In August 2002, right after Columbia, he relocated to London and held several finance and strategy roles within the Orange Group before joining a number of e-commerce and Internet start-ups. Currently, Spyros works as COO for an artificial intelligence-based computer vision start-up called Cortexica. Prior to life in London, Spyros has lived and worked in New York City, Paris, Moscow, Geneva and Athens, always associated with technology and telecommunications. Spyros holds a M.S in Telecommunications from ParisTech. Masha holds a Bachelor of Arts with a major in Political Science and a minor in Psychology from Columbia College (2009). 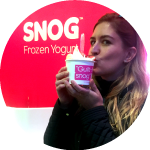 Originally from the Netherlands, Masha moved to London for law school and trained at Warner Bros. in London, before joining KPMG as a solicitor in 2016. Masha also holds a Master of Laws in Entertainment, Media and Intellectual Property law from UCLA and qualified as an attorney in California in April 2016. Masha is involved with the UCLA/University of California alumni community in London as well as the American Women Lawyers in London association. 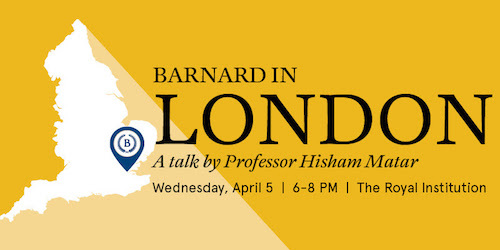 On March 15th, CUCL started its first collaboration series with the alumni clubs of Harvard UK and Balliol (Oxford). The series focuses on the UK's role as a leader in international financial technology. This was the kick-off event for a multi-event series that will host leaders from fintech companies, traditional banks, venture capital, private equity, public markets and regulators to shed light on this buzzing but still not well understood industry. The first event discussed the emergence of online banking challengers, most notably represented by Tom Blomfield, founder of monzo online bank, and Daniel Waterhouse, Partner at Balderton Capital. Both advocated for technology to drive front-end innovation and improve user experience in a sector that has traditionally lacked in customer satisfaction. Afterwards, the engaged audience challenged panelists by inquiring about the real innovation by fintechs that would be defensible if incumbents decided to wake up one day. On Sunday 26 th March the CUCL Walking Tours got off to an excellent start, with glorious sunny spring weather. 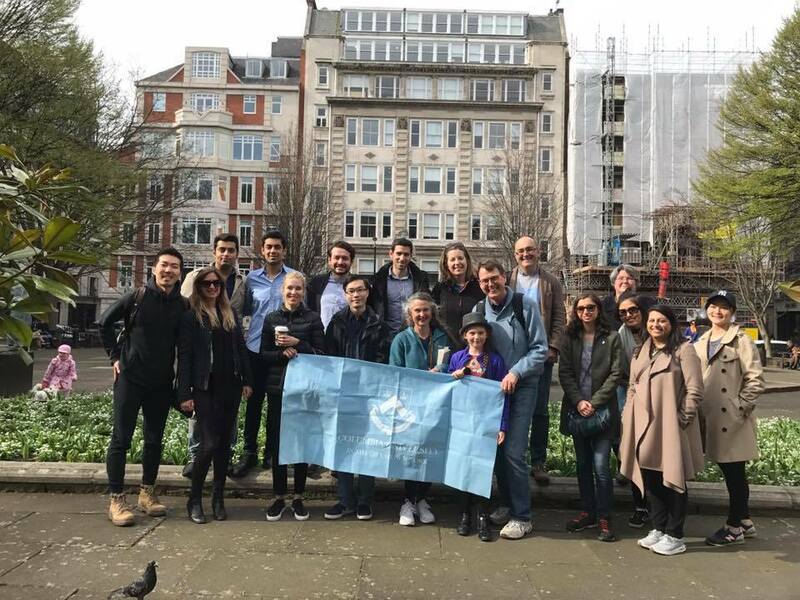 The clocks moving forward did not deter the group from visiting some of the less known points of Soho, near London’s Theatreland. We learned about fresh water helping progress in the area and saw the places where Mozart, Canaletto and Karl Marx had lived. It was also quiet in Soho Square and Golden Square where we paused initially for introductions. It was a talkative group and Soho’s cultural past was much appreciated. Many thanks to our walk leader Boyko Boev for such an inspirational walk, and we're looking forward to the next tour in June! The lecture will take the audience across disciplines and delve into key questions of hope, art, history and politics. The evening will begin with a reception and book signing will follow the presentation. Cover: $10 USD per person. Registration includes light refreshments. 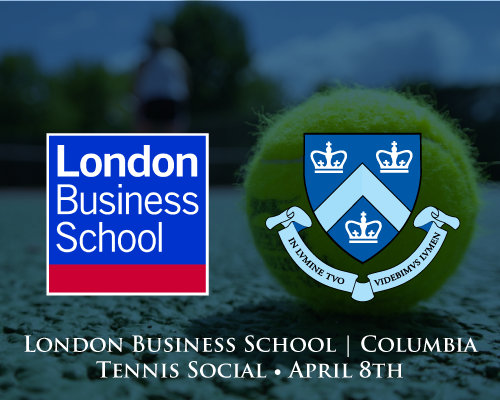 We still have tickets to our annual Columbia-LBS Tennis Social! We have booked four indoor courts at Westway Sports Centre for two hours via The LBS Tennis Club. 8 players from each team will be playing double matches against each other. A great opportunity for tennis regulars to make friends and connect, refresh your tennis skills and have a great time! We only have 8 spots available, so please RSVP and secure the spots as soon as possible! Our Happy Hour moves to Smithfield this month, and we're hoping to see many City-based alumni this time! Our previous FinTech event sold out in days - if you are interested make sure you buy your ticket NOW to avoid disappointment! Building on last month’s highly successful Fintech Series Launch,which saw plucky upstarts seeking to disrupt financial services giants, our May 30 session showcases creative initiatives on the mature and large scale. Might the empire strike back, and how? Can incumbent and large scale financial services players fight back and prevent the new kids on the block from grabbing their market? We will look at institutional re-invention from sandboxes inside big banks and the conversation will include an entrepreneur who seeks to work with the banks instead of against them. If you do not have a ticket you will not be admitted by The Shard security. Columbia SOA Professor Georg Friedrich Haas is considered one of the greatest living composers of our time. We had the great honor of meeting Prof. Haas and his lovely wife Mollena two years ago, during rehearsals and world premiere of his acclaimed opera "Morgen und Abend", a commission by the Royal Opera House.